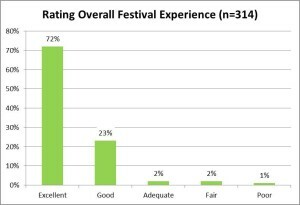 Each year, the Festival conducts an audience survey as an ongoing effort to measure various aspects of our own performance and receive feedback from patrons. 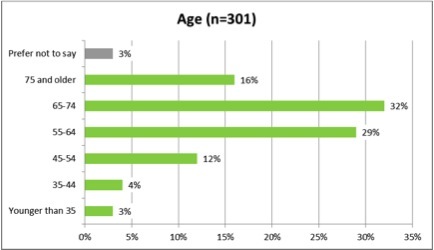 Below are the results from this past Festival in June. 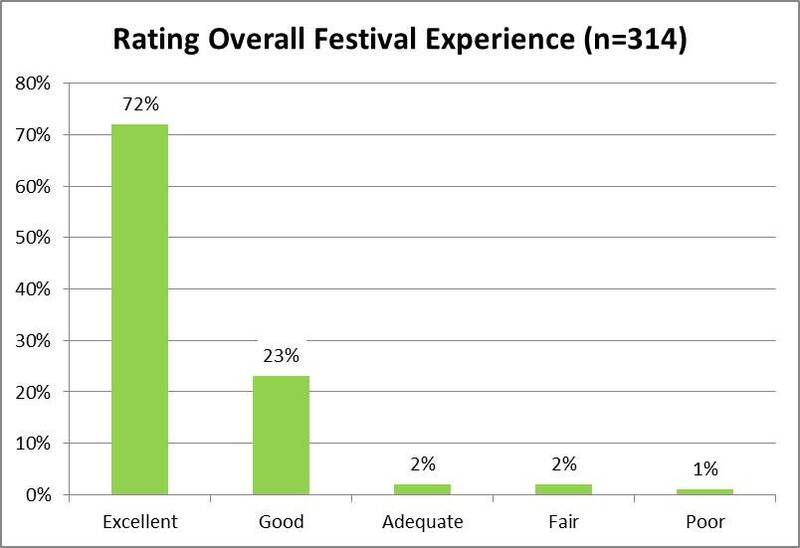 We strive to improve our efforts and appreciate our Festival community’s interest in our forward plans. We welcome any additional comments and observations. Please email us at info@ojaifestival.org or write your comments below. 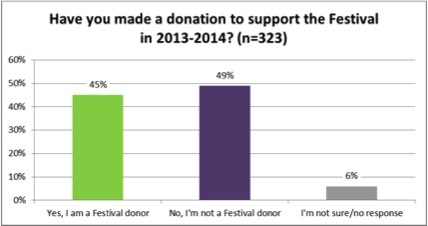 Survey invitations were e-mailed to 2014 Festival attendees the week following the event. Of a total of 678 delivered, 323 were returned for a response rate of 48%. Comments: Live streaming and intermission interviews seen after returning home; loved it! Hands down: The Classical Style. We loved it and wished we could sit through it twice. (Two of us are trained musically; the third, just a music lover.) Next I’d have to say Jeremy Denk playing the Ligeti Etudes. I wished I could spend all four days in Ojai. The organization was perfect. Enough restrooms, very clean. I watched afterwards the videos and the program and artists are outstanding. Also very funny especially my first language is German. Listening to the musicians at the Gazebo on Friday and hearing Storm. Lying with my young son under the giant oak on the lawn listening to Mozart on a gorgeous Sunday morning and getting a picture that captured the moment – smiles all around. Sitting in the middle of the choir at Sunday Sunrise concert. My whole body was immersed in the sound, and my soul was deeply touched by the power of the voices around me. Both Late night concerts were excellent. I loved the discussions on Thu and Fri but must admit that I liked Jeremy’s discussion of the idea of the opera more than the opera itself. Brooklyn Rider and that venue were amazing but so was Sun morning at Meditation Mount and I am not a choral lover usually. Sunday morning: sitting in that beautiful bowl with the trees and their dappled sunlight and listening to Mozart and the bird’s responses. It was exquisite. Fred Child of American Public Media’s Performance Today interviews Jeremy Denk, music director, during one of the intermission interviews during the 68th Ojai Music Festival. Photo by Timothy Norris. 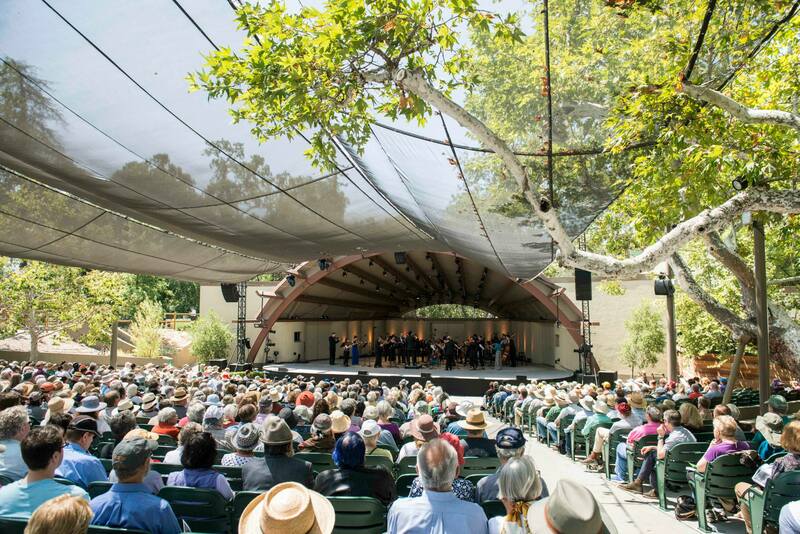 Libbey Bowl Concerts and Ojai Talks of the 68th Ojai Music Festival, June 12–15, are now archived on our Festival website for your viewing pleasure. A highlight of this year’s 2014 Ojai Live offerings includes the June 13 world premiere of the new opera with libretto by Jeremy Denk and music by Steven Stucky, The Classical Style: An Opera (of Sorts). The Classical Style: An Opera (of Sorts) is co-commissioned by the Ojai Music Festival, Cal Performances at UC Berkeley, Carnegie Hall, and the Aspen Music Festival and School. 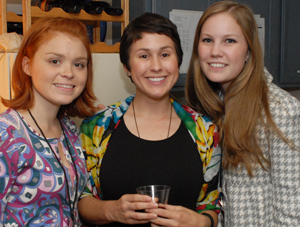 The Ojai premiere is supported by a generous grant from The Andrew W. Mellon Foundation. This year, Ojai Live features an enhanced HD five-camera shoot with concert-quality sound produced by Little Dog Live (http://www.LittleDogLive.com). Intermission interviews with artists and special guests were hosted by Fred Child of American Public Media’s Performance Today. Now in its 68th year, the Ojai Music Festival celebrates its audience whose interest has resulted in record sales. The concentrated four-day Festival draws thousands of curious and engaged music enthusiasts from across the country, and is pleased to serve a growing community worldwide via these live and archival webcasts. 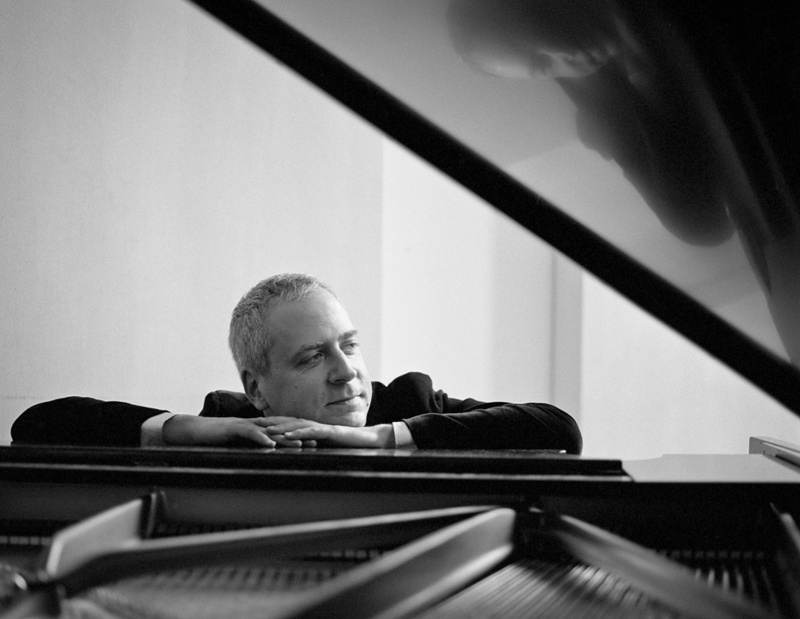 These are illustrious times for the pianist and writer Jeremy Denk. 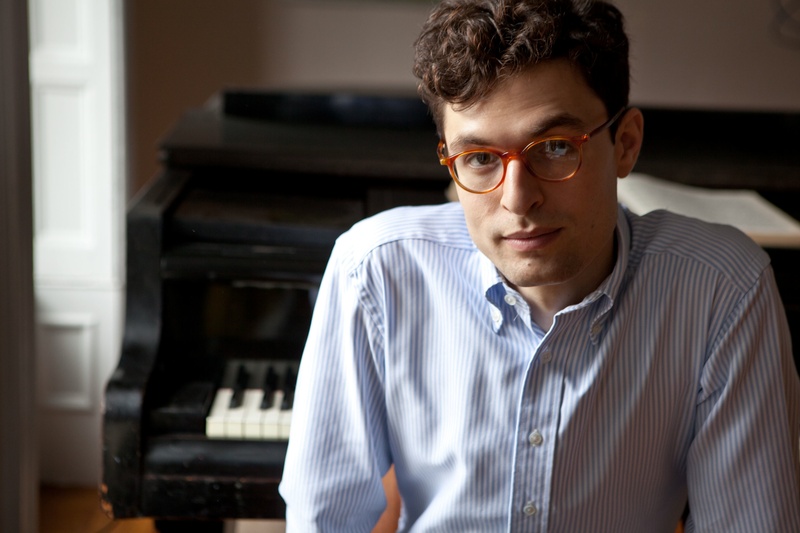 Last year he won a MacArthur “genius” Fellowship, was named Musical America’s Instrumentalist of the Year and signed a book contract to expand a New Yorker article about piano lessons. A few months ago, he received the $75,000 Avery Fisher Prize, and in a few weeks he heads west to become music director of the 68th annual Ojai Music Festival. The festival, starting June 12, should offer a change of pace for Denk. Instead of his usual concertizing across the U.S., Europe and elsewhere, he’ll be in residence at the four-day festival — and in charge. It’s not a book that immediately screams out that it should be an opera. He had never written an opera libretto before, either. But besides curating the festival and performing there, he’s come up with “The Classical Style: An Opera [of Sorts],” which will be given its premiere in Ojai. Based on pianist Charles Rosen’s 1971 scholarly book, “The Classical Style,” with music by composer Steven Stucky, the comic opera features such things as Mozart, Beethoven and Haydn playing Scrabble in heaven. The new work by Andrew Norman, set to be performed by Jeremy Denk, will be replaced by another work by Mr. Norman. Andrew Norman regrets that he was unable to complete his new piece, 140 characters or less, in sufficient time to allow for a premiere at the Ojai Music Festival. Mr. Denk looks forward to performing the piece at a later date. Ojai is a place where alumni enjoy returning, whether to perform or just enjoy the experience as an audience member. 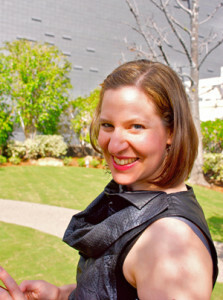 Lisa Kaplan is one such member of the Festival family. As one of the members of the groundbreaking ensemble eighth blackbird, Lisa was first here in 2006 when they made their Festival debut performing Frederic Rzewski’s Coming Together, and captivated the Ojai audience. 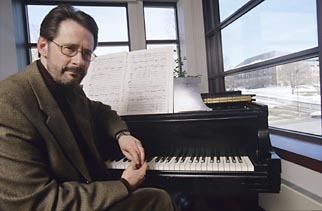 It was at this Festival that Thomas W. Morris, artistic director, approached them to return to the Libbey Bowl as the Festival’s 2009 Music Director. After their memorable and fearless stint in this post, Lisa and the “birds” were asked back to open the new Libbey Bowl in 2011 performing Osvaldo Golijov’s Ayre with Dawn Upshaw. And Lisa didn’t stay away long – just last year she again soaked in the festival experience, this time as an audience member! OMF: This will be your 5th time back in Ojai to perform but 4th since you came last year to hang out and enjoy the music. How did it feel to be on the other side of the stage as an audience member? Kap: It was really wonderful to be on the audience side of the Ojai Festival last year. So relaxing! But also a lot to take in in the course of four days. I have been an admirer of Mark Morris for as long as I can remember, and it was truly inspiring to come out to see h ow he curated the festival. Highlights for me were, the John Luther Adams’ songbirdsongs performed on Meditation Mount at 8am where the sounds of the instrumental bird songs and the actual birds singing their song were completely blurred. Hearing Yulia Van Doren sing Ives and Cowell and Cage, sitting in on toy piano to play In C on a glorious, sunny morning, and Mark’s musical choreography to all of the dance. I was blown away by his piece to Samuel Barber’s “Excursions.” A piano work I’ve never liked but somehow with Mark’s choreography, it absolutely came to life for me. Now when I hear that piece, I can’t help but think of the dancing that goes with it. 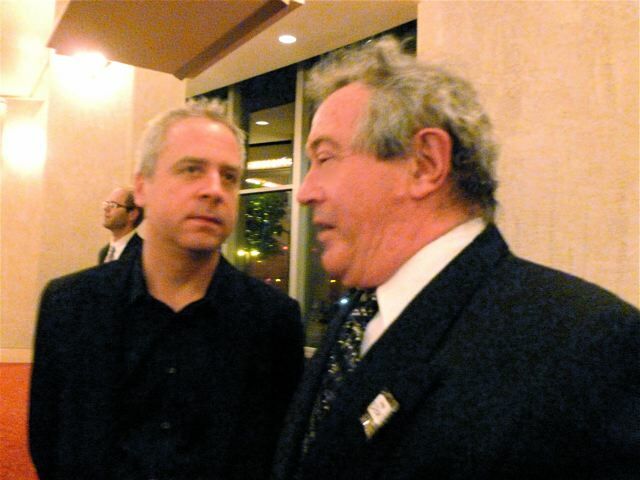 OMF: What was your advice to Jeremy Denk once Tom Morris asked him to be Music Director for Ojai? Kap: I told him that it would be a lot of work, but totally worth it! I encouraged him to do something bold and audacious that he may never have the opportunity to do otherwise. Ojai is a playground for those kinds of projects and has a devoted following that isn’t afraid of new work so it is the perfect opportunity to program something innovative or totally crazy! OMF: This year we are paying tribute to those who inspire us as musicians, artists, and people as well as recalling an “Aha moment” during your path as an artist. Do you have one that you’d like to share? I never played Mozart the same after Jeremy said that to me. I was so much less afraid to perform it and it was far easier to just have fun and make music together. The very best part about playing together with someone like Jeremy who is so talented, is that they up your game too. I always learn something new when I share the stage, (or bench) with him. 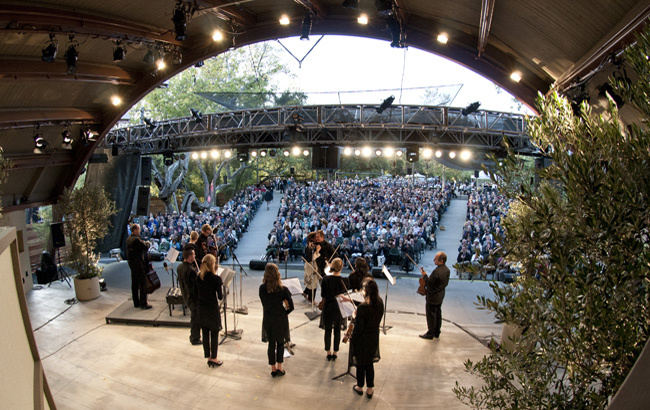 As faculty and students prepare for the final weeks of the school year, the Ojai Music Festival is preparing for another amazing four-day music experience, and we invite students to enjoy Ojai 2014 with our special student ticket offer, made possible through the support of the Shanbrom Audience Development Fund. Students receive 30% off single reserved seats and $5 lawn tickets with a current student ID. “Early in my freshman year of college, a graduate violinist hired me to accompany her in John Adams’s Road Movies, having failed to convince any of her pianist colleagues to do so. I’d never heard Adams’s music before, much less played anything like it, and was initially nonplussed; on the page, the piece looked easy, repetitious, even boring. I was surprised to find it cycling endlessly through my head after rehearsal. It was catchy but also tough, and I spent hours with the violinist figuring out how to play it. By the time we performed Road Movies together, I was an Adams acolyte. The updated 2014 Festival schedule is now available. Click the link below to view the complete schedule of events, program details, and more! “I feel that the moment, the rightness of the moment, even though it might not make sense in terms of its cause and effect, is very important.” -M.F. 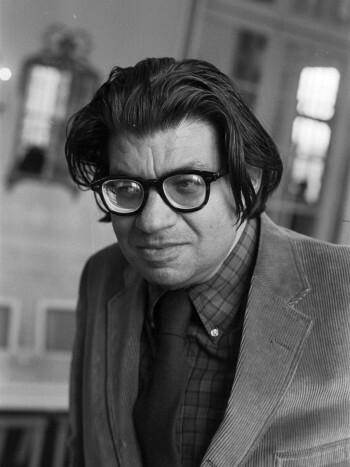 I find it difficult to talk about Morton Feldman. I’m in awe of his output. I find his music to be exquisitely beautiful and intellectually challenging, a combination very few composers achieve. I often find myself saying to my colleagues, “Yup, another great piece by Feldman.” You start thinking about him and he becomes larger and larger in your mind and at a certain point he becomes too big to deal with. It’s well-known how huge he was. 6 feet, almost 300 pounds. The thick mop of greasy black hair, the coke bottle glasses. The massive appetite, intellectual and sensual, hungry for life. The endless words, the words that poured out of him, the constant conversations with everyone (although he admitted to an interviewer once, “The problem now is that all these things are evasive subterfuges from sitting down and writing that piece of music.”). He was engaged in a lifelong debate with the musical giants of his time: Boulez, Cage, Stockhausen. After you’re captured by his music, the legend of the man becomes almost even more captivating. For me there is a ghoulish danger there. A strange thing about living in New York City is this continual pull of the legends and the ghosts that live here. I was standing at the corner of 72nd and Central Park West when some tourists haltingly inquired, “Excuse…could you please show where the Beatle was…” they trailed off in embarrassment and yeah, they should be embarrassed, a human being was murdered right there. I shook my fist at them after pointing them in the right direction because I recognized myself in their faces. With the Festival quickly approaching, now is the perfect time to listen up on some of the programming for this June. You can listen to recordings of some of the works to be performed this year using our Spotify playlists. The schedule for the 2014 Ojai North (June 19-21) with Music Director Jeremy Denk schedule has been announced. Scheduled concerts include the Bay Area Premiere of The Classical Style, performances by Jeremy Denk, Brooklyn Rider, Timo Andres, and Storm Large. Now in its fourth year, the collaboration between the Ojai Music Festival and Cal Performances enables reprises of Ojai concerts in Berkeley and creates a joint force allowing artists to achieve more than possible by each institution separately. BERKELEY, January 21, 2014—Cal Performances’ fourth annual Ojai North music festival opens Thursday, June 19 with the Bay Area premiere of the comic opera, The Classical Style, based on the eponymous award-winning book by the late pianist and scholar Charles Rosen, with a libretto by 2014 Ojai Music Director Jeremy Denk and music by Pulitzer Prize-winning composer Steven Stucky. Ojai North is Cal Performances presentation of the highlights of the Ojai Music Festival considered one of the finest celebrations of music and culture in the world; this is the fourth year of the partnership . The music continues in Berkeley at the end of every annual festival in Ojai Valley. Five distinct concerts are on the program for Ojai North. 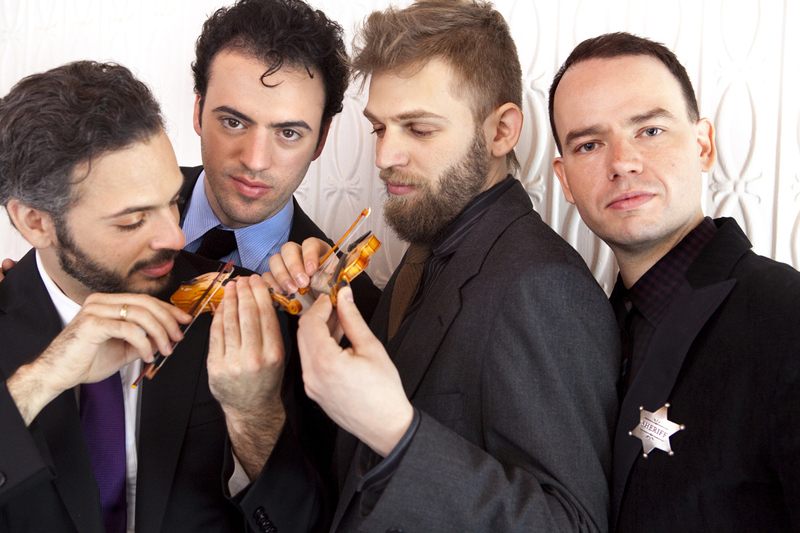 Making their debuts at Cal Performances are artistic collaborators who share Denk’s musical passions and love of fun, including jazz pianist and composer Uri Caine, the trailblazing string quartet Brooklyn Rider, pianist/composer Timo Andres, vocalist Storm Large, and contemporary ensemble The Knights. 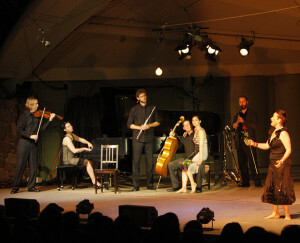 While music by Ludwig van Beethoven, Wolfgang Amadeus Mozart, and Joseph Haydn will set the framework for The Classical Style, Ojai North features works by Leoš Janáček, Charles Ives, Morton Feldman, György Ligeti, Franz Schubert, and Kurt Weill plus the work of the distinctive Palo Alto-born composer Timo Andres. Denk’s trademark vivacious intellect and love of the unexpected is also evident in Uri Caine’s ingenious rendering of Mahler; Timo Andres’s reimagining of Mozart’s “Coronation” Concerto; the music of Charles Ives; and Denk’s eclectic views on musical canons. 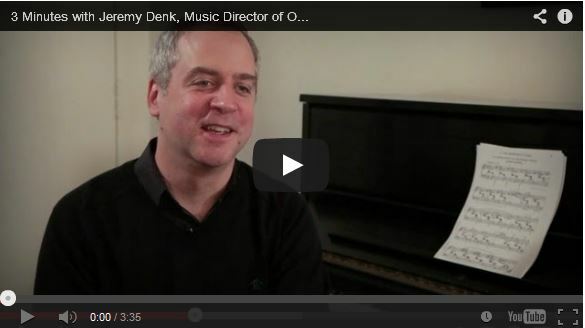 Cal Performances has produced an exclusive video with Denk talking about The Classical Style and other works coming to Berkeley. A series of Discover, Engage! education and community events to compliment Ojai North programming is being planned and will be announced at a later date. 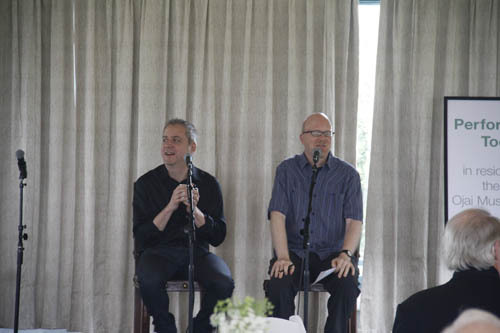 Each summer the Ojai Music Festival (June 12-15, 2014) and Ojai North (June 19-21, 2014), explore the musical interests of its Music Director, an annual position that is held for the first time this year by Jeremy Denk. This collaborative effort makes possible annual reprises of Ojai concerts in Berkeley, as well as co-commissions and co-productions. More than just a sharing of resources, Ojai North represents a joining of artistic ideals and aspirations and is Cal Performances own ‘reinvention’ of the Ojai Music Festival. 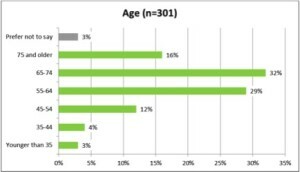 The organizations shared legacies of artistic innovation and groundbreaking productions create a joint force that allows artists to achieve more than would be possible by each institution separately. 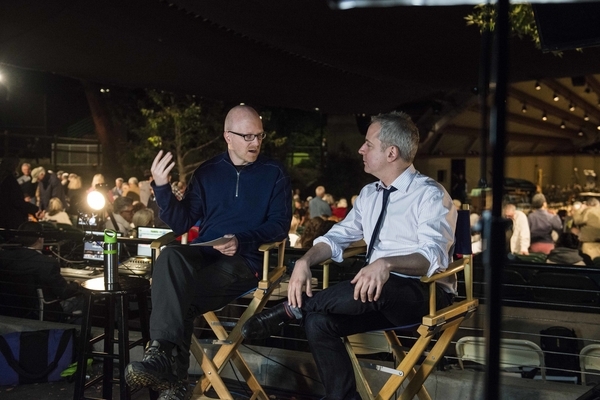 Ojai North kicks off on Thursday, June 19 at 8:00 p.m. in Hertz Hall with the Bay Area premiere of The Classical Style, the first collaboration between Jeremy Denk and Steven Stucky – and the first opera project for both. The opera will be led by Robert Spano, conductor, pianist, composer, educator, and music director of the Atlanta Symphony Orchestra and of the Aspen Music Festival and School. The Knights, the New York-based orchestral collective, will serve as the ensemble for The Classical Style. The comic opera will debut at the Ojai Music Festival the week before coming to Berkeley; the work is co-commissioned by Ojai Music Festival, Cal Performances, the Aspen Music Festival and School, and Carnegie Hall. The first half of the concert will feature Brooklyn Rider performing Joseph Haydn’s String Quartet in G minor, Op. 74, No. 3, “Rider”. This performance repeats on Friday, June 20 at 7:00 p.m.
On Friday at 10:00 p.m. vocalist Storm Large will perform an evening of cabaret songs that she will announce from the stage; the venue of the concert will be announced at a later date. Ojai North continues on Saturday, June 21, beginning at 11:00 a.m. with jazz pianist and composer Uri Caine and the Uri Caine Ensemble performing Mahler Re-Imagined, works from his critically acclaimed CD, which features his innovative adaptations, transformations and improvisations of Mahler’s music. Since 1998, Caine and his group have toured Mahler: Re-Imagined extensively throughout the world. The concert begins with Jeremy Denk performing Leos Janáček’s On An Overgrown Path interwoven with short works by Franz Schubert. At 3:00 p.m. Brooklyn-based composer Timo Andres’ reimagines Mozart’s “Coronation” Concerto, a performance described by Alex Ross of The New Yorker as “mesmerizing.” In this work, while the orchestral parts and the treble piano line are as Mozart notated in his original manuscript (Mozart did not fill out most of the piano counterpoint and harmonies since he improvised performances himself), Andres has recomposed the remainder of the piano part in his own style as if he were improvising a performance today. The work is performed by Andres himself, accompanied by The Knights and conducted by Eric Jacobsen, one of its founders and its regular conductor. The Knights offers an eclectic program of Charles Ives’s Three Places in New England (1930 version); Morton Feldman’s Madame Press died last week at 90; and Karlheinz Stockhausen’s Tierkreis–Leo 4, arranged by Caroline Shaw. Kurt Weill’s Seven Deadly Sins will be performed by the “sensational” (The New York Times) vocalist Storm Large and the Hudson Shad vocal quartet in English. 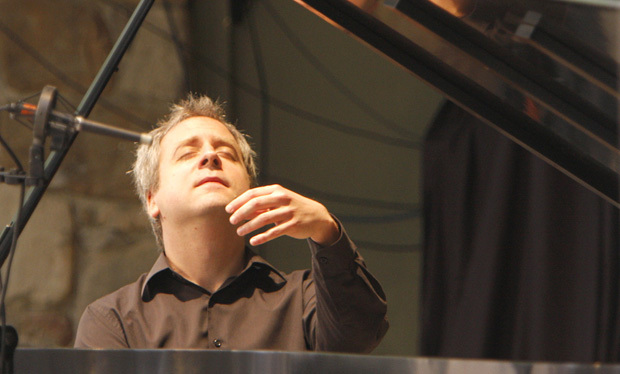 The Festival’s concluding concert at 8:00 p.m. features Ligeti’s Piano Études Books I and II, a specialty of Jeremy Denk’s. The second half of the concert includes Charles Ives’ Psalm 90 performed by the Ojai Festival singers and conducted by Kevin Fox, as well as Beethoven’s Choral Fantasy, Op. 80 performed by Denk, The Knights, and the Ojai Festival singers, conducted by Eric Jacobsen. All concerts are in Hertz Hall. Tickets for Ojai North Music Festival, Thursday-Saturday, June 19-21 in Hertz Hall range from $20.00-$68.00 and are subject to change. A festival pass with tickets to all the performances is available for $132.00. Single tickets will go on sale February 1, 2014. Tickets are available through the Cal Performances’ Ticket Office at Zellerbach Hall; at (510) 642-9988; at www.calperformances.org; and at the door. Half-price tickets are available for purchase by UC Berkeley students. UC faculty and staff, senior citizens, other students and UC Alumni Association members receive a $5.00 discount (Special Events excluded). For more information, call Cal Performances at (510) 642-9988, or visit www.calperformances.org. Bancroft Way at College Ave.
Tickets: $68.00 and are subject to change, and are available through the Cal Performances Ticket Office at Zellerbach Hall; at (510) 642-9988 to charge by phone; at www.calperformances.org; and at the door. Program: Cabaret songs with vocalist Storm Large; songs to be announced from the stage. Tickets: $28.00 and are subject to change, and are available through the Cal Performances Ticket Office at Zellerbach Hall; at (510) 642-9988 to charge by phone; at www.calperformances.org; and at the door. Program: Timo Andres’ take on Mozart’s “Coronation” Concerto with The Knights conducted by Eric Jacobsen; Charles Ives’s Three Places in New England (1930 version); Morton Feldman’s Madame Press died last week at 90; Karlheinz Stockhausen’s Tierkreis – Leo 4; Kurt Weill’s Seven Deadly Sins with vocalist Storm Large and the Hudson Shad vocal quartet. Tickets: $40.00 and are subject to change, and are available through the Cal Performances Ticket Office at Zellerbach Hall; at (510) 642-9988 to charge by phone; at www.calperformances.org; and at the door. Program: Ligeti’s Piano Études Books I and II with Jeremy Denk; Charles Ives’ Psalm 90 with the Ojai Festival singers, conducted by Kevin Fox; and Beethoven’s Choral Fantasy, Op. 80 with Denk, The Knights, and the Ojai Festival singers, conducted by Eric Jacobsen. The Ojai Music Festival is pleased to announce that American Public Media’s popular radio program Performance Today will return to Ojai in June for a second residency with the Festival. Performance Today and its host Fred Child was seen at the 2012 Festival with Music Director Leif Ove Andsnes. At the Festival, Fred hosted a Concert Insights session, conducted artists and patron interviews, and recorded performances for rebroadcast throughout the year. 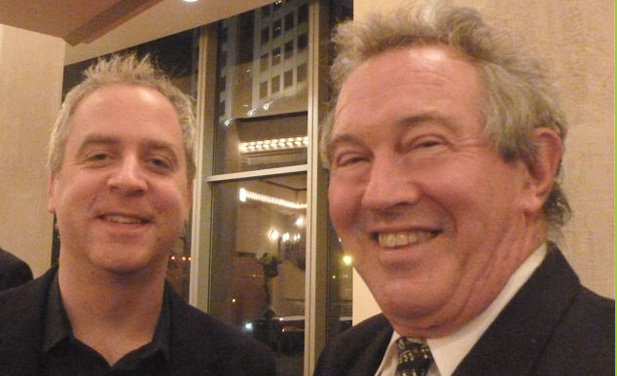 Also present in 2012 was 2014 Music Director Jeremy Denk, who sat down with Fred Child at the Sunrise Subscriber Breakfast at the Ojai Valley Inn. At the breakfast, Jeremy spoke with Fred about his plans for the 68th Festival and answered questions from subscribers. The conversation was recorded and later aired on Performance Today. Now, almost two years later, Jeremy prepares to return to Ojai for his Festival. Programs and works may have shifted from his “original ideas,” but the spirit of the ideas shared in 2012 still live on in the planned Festival schedule. We’re so excited to have both Jeremy and APM back in Ojai this June – we hope you will join us! 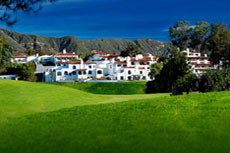 Special 2014 Festival rate for rooms at the Ojai Valley Inn – book online now! 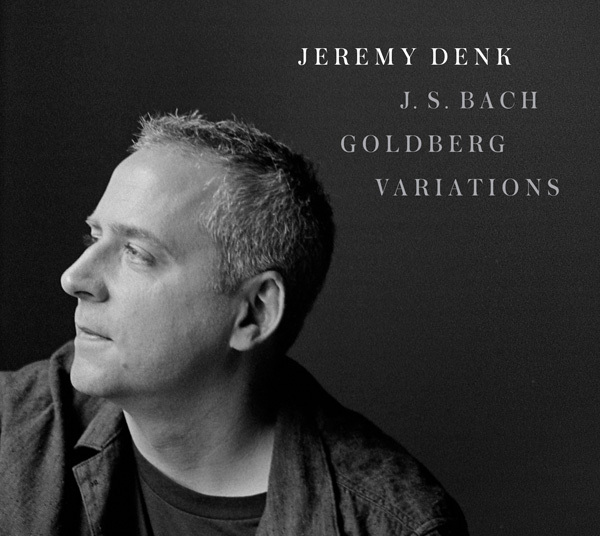 Denk plays in 15 US cities this fall, including a performance of the Goldberg Variations in Boston, Chicago, and DC and four nights in Davies Hall, one at Carnegie Hall, and one at the Krannert Center (in Champaign-Urbana) with the San Francisco Symphony playing Mozart’s Piano Concerto No. 25 in C Major, K. 503. See below for the currently scheduled US dates; for details and tickets, visit nonesuch.com/on-tour. Denk’s previous releases include a recording of music by Charles Ives, released on his own Think Denk Media label, and a Nonesuch album of works by Beethoven and Ligeti. He also is an avid chamber musician and a respected writer, both on his blog and in such publications asThe New Yorker. Denk is expanding a recent article in that publication into a book that will be published by Random House. 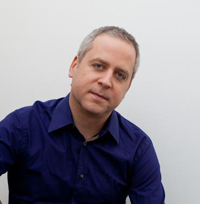 Jeremy Denk made his first appearance in Ojai at the 2009 Festival with Music Director eighth blackbird. The pianist was very thoughtful and helpful in sending over notes for his Saturday Morning Concert, which included Bach’s iconic work, Goldberg Variations (about to be released on Nonesuch Records). As we move forward Jeremy’s return to Ojai – this time as the 2014 Music Director – read about how he first explained this piece, which has become an significant part of his repertoire. 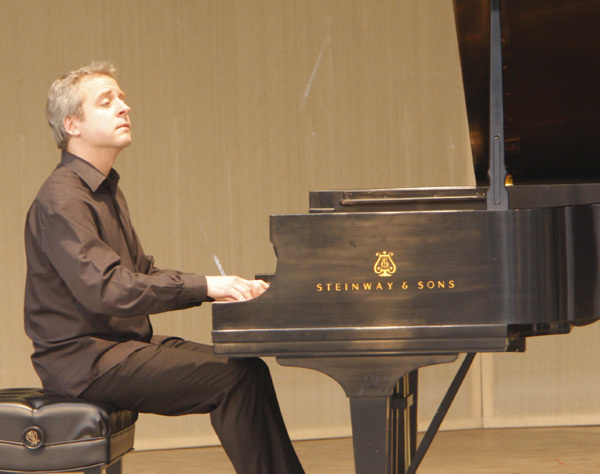 Jeremy Denk performs at the 2009 Festival at Libbey Bowl. Credit: Robert Millard. “I think the connection between the Goldbergs and the Ives First Sonata is … opposites attract? Beauty and the Beast? This program is a bit like a couple that you would never imagine would get together but, when you hook them up, they suddenly have a lot to say to each other. I love the idea–a kind of painterly contrast–of the luminous, serene Goldbergs against the dark, raucous Ives Sonata. An 18th-century German Lutheran and a 19th-century Connecticut farming family may not be all that far apart, in some sense: they’re both spartan and spiritual. One of my favorite parts of the Goldberg Variations is the concluding Quodlibet, where Bach takes two common tunes and superimposes them over the Goldberg harmonic ground: a masterstroke of composition, but also a wonderful joke combining high and low, the profound and profane. And what could be more Ivesian than that?